Travel back to the dark and dismal days of the Victorian era when Jack the Ripper roamed the streets with this VR experience (optional)! 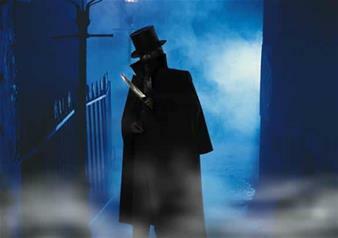 Delve into the world of Victorian London at its most grisly during this fascinatingly frightful Jack the Ripper Walking Tour. In the early house of 31st August 1888, a man walking to work down a dark lane in Whitechapel found a shapeless bundle lying on the ground. He went to investigate and found an East End prostitute murdered in the most gruesome way. This was the first of many killings, sparking one of the most famous man hunts in the world. Ripperologists and amateur sleuths are still trying to work out the identity of the man they called Jack the Ripper! During this walking tour you will follow the shadowy trail left by Jack the Ripper through East London’s Whitechapel. You will begin at Trader’s Gate before continuing down Aldgate High Street to Mitre Square – where the serial killer infamously claimed two unlucky victims and left their bodies in the street. Our next stop is Goulston Street, where arguably the most vital clue to solving the case of Jack the Ripper could be found! Ramble down Commercial Street before arriving at notorious Hanbury Street, where the body of horrifically mutilated Anne Chapman was discovered. Play detective during this marvellously morbid walking tour and see some famous London sights too! Who was Jack the Ripper? Discover the story behind the unidentified killer on this ominous and entertaining walking tour. Be transported back in time to when the world’s most prolific serial killer Jack the Ripper roamed the streets with our exclusive Virtual Reality experience. Be sure to have your wits about you as your thrilling adventure brings to life Victorian London like never before. See each scene where the victims were mercilessly murdered and see if you can find Jack the Ripper lurking in the background of each scene. Accompanied with the terrifying (yet fascinating) stories from your expert guide, this is the perfect way to discover one of London’s most famous crimes. The tour will finish at approximately 5:00pm near Liverpool Street Station.